A whole two weeks after they last met, Belgium and England will play each other again on Saturday to decide who comes third in the 2018 World Cup. Belgium beat England 1-0 when the two sides played in the group stage on 28 June. The teams, who were both drawn in Group G alongside Panama and Tunisia, each lost their semi-finals this week, meaning a France-Croatia final on Sunday. 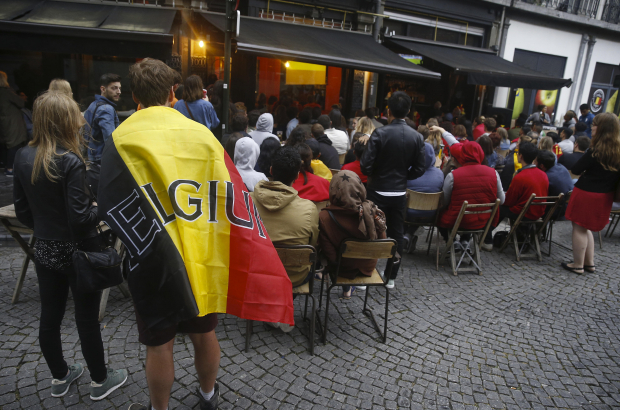 In the semis, Belgium crashed out with a 1-0 defeat to France on Tuesday. England's World Cup hopes were crushed by Croatia's 2-1 victory in extra time on Wednesday night. The Belgium-England playoff for third place is on Saturday at 16.00. Here's a handy map of all the big screens showing the match for free - and these are The Bulletin's picks for the best venues. The two remaining matches can also be seen at the Football Village at the Steigenberger Wiltcher’s Hotel on Avenue Louise.